1836: Immigrants from various parts of Germany begin to arrive around the area of Kilbourne Road (now 27th Street), near what would become known as the Oakwood community. 1840: The first worship services begin taking place. Pastor Friedrich Schmidt arrives from Michigan as a circuit riding preacher, conducting services in the Goelzer log cabin, as well as teaching and confirming the first children in Oakwood. 1843: St. John's Lutheran Church is formally organized by 24 voting members and their families on October 2. 1844: Pastor Schmidt returns to Michigan. 1847: Pastor Johannes Weinmann arrives in Oakwood to minister to some 300 members, living in the Goelzer cabin. An energetic missionary, he helps establish other Lutheran churches in Greenfield, New Berlin, Caledonia, and Racine. He would later perish in a ship fire on a return trip from Germany in 1859. 1849: Pastor Carl Gustav Rausch is called to serve St. John's after Weinmann leaves to minister to another church in Racine. 1850: Pastor Weinmann collaborates with Pastors Johann Muehlhauser and Wilhelm Wrede to found what would eventually be called the Wisconsin Evangelical Lutheran Synod. 1851: A split on doctrinal matters ensues with regard to Rausch's rationalistic leanings. About half of the congregation leaves St. John's and follows Rausch to found "The First Christian Free Church of the Towns of Franklin and Oak Creek," which still stands today as the Painesville Memorial Chapel near the corner of 27th Street and Ryan Road. 1852: Pastor Conrad Koester accepts the call to serve St. John's, now consisting of only 16 members and their families. But with an influx of immigrants from various areas in Germany wanting to settle in the region, the congregation begins to flourish again. Like Weinmann, Koester works tirelessly as a missionary to multiple congregations in the area, including Caledonia (now Trinity), Tess Corners (now St. Paul's, Muskego), and Root Creek (now St. John's on Forest Home Avenue). He is also remembered for introducing the use of Martin Luther's Small Catechism in his confirmation instruction. He serves St. John's until his death in 1864. 1864: Pastor Phillip Brenner of Kenosha is installed at St. John's. Within two years, membership swells to 170, and 80 children enroll in a newly established Christian day school. In 1870, Brenner accepts a call to Oshkosh. 1870: Gustav F. Denninger is installed as pastor, occasionally taking up school instruction in addition to pastoral duties. He accepts a call to Neenah in 1880. 1880: Pastor Carl Gausewitz is installed. The school, previously understaffed due to illness, flourishes. The congregation also purchases its first organ because he has no singing voice. He accepts a call to Woodbury, Minnesota in 1893. 1893: Pastor Herman H. Ebert, from St. Paul's Lutheran on Smith Road, serves as vacancy pastor, conducting services every two weeks. With no full time pastor, St. John's declines to observe its 50th anniversary. 1894: John Balthasar (J.B.) Bernthal accepts the call to St. John's after recovering from illness. He not only oversees the construction of a new church, school building, and parsonage, but serves an additional congregation in Raymond. During this time, St. John's celebrates its 55th anniversary in lieu of its 50th. Bernthal accepts a call to Ixonia, Wisconsin in 1911. 1911: Pastor Martin F. Plass of Mauston, Wisconsin is installed. 1915: Services are conducted in English for the first time, on a monthly basis. 1917: A Ladies Aid group is organized. It oversees the construction of a buggy shed, which protects horses and buggies on Sundays, but the building is also used to host a bazaar, annual picnics, and the fall Mission Festival, which attracts visitors from around the Milwaukee area, who purchase handmade goods and a meal (for just 25¢). 1918: St. John's commemorates is 75th anniversary. 1919: The Christian day school is re-organized under the direction of the first School Board Members: Jacob Schattner, Otto Paap, and Gustav Meissner. 1931-1932: Highway 41 (27th Street) expands, and the church is moved to its present site, remodeled and dedicated. A choir is organized. 1943: St. John's celebrates its 100th anniversary. With World War II in progress, the congregation helps several destitute families in war-torn Germany by sending clothes and care packages each month. 1955: Pastor Plass retires, having served 44 years as pastor at St. John's, and 56 years in the ministry overall. Pastor Karl Molkentin accepts the call to serve as pastor and is installed. 1956: For the first time in its history, St. John's discontinues services in German. 1957: St. John's purchases 6 1/2 acres of land to its south. 1960: A new entrance is built onto the front of the church, which includes a larger narthex, an additional room in the basement for the growing Sunday school and a study for the pastor. 1963: The Christian Day School is re-established through a cooperative arrangement with Trinity Lutheran Church in Caledonia. Its first teacher is Mrs. Karl Molkentin. 1964: Roger Hinz accepts the call to be church organist and principal of the school. 1966: The Ladies Aid Society revises its constitution and renames itself The Mary and Martha Society. 1967: The Mary and Martha Society observes its 50th anniversary. A new parsonage is built as a memorial to the 125th anniversary of St. John's. Additionally, St. John's purchases the three-room Lafayette Public School on County Line Road for its Christian Day School. Roger Hinz accepts a call to LaCrosse, and Arthur Hackbarth becomes the principal. 1972: Robert Snell accepts the call to be principal of the school. 1974: Pastor Molkentin accepts a call to Tampa Bay, Florida, after serving St. John's for 19 years. 1975: Pastor Gerald Meyer is installed as pastor at St. John's. 1976: Robert Weigmann accepts the call to be principal. 1977: St. John's joins the Shoreland High School Federation. With continued growth, it becomes necessary to incorporate two worship services on Sundays. 1985: A new building for the Christian day school is completed and opens its doors. 1986: James Hahn is installed as Principal of the school. St. John's celebrates its 150th anniversary. 1999:Pastor Meyer accepts a call to St. Paul's Lutheran Church in Muskego after serving St. John's for twenty years. 2000: Pastor Dale Reckzin is installed. Regular Thursday night services are initiated. 2001: Holy Communion is offered in every regular worship service. 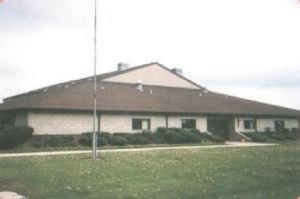 2002: Multiple repairs and improvements are made to the church building and grounds, including a basement remodel, installation of air-conditioning, a new storage garage, and a larger asphalt parking lot. 2007: The Mary and Martha Society restructures itself and changes its name to Ladies Serving Together. 2007: Due to financial constraints, the Christian day school is closed. 2008: Seeking to stress evangelism and outreach, St. John's calls Kendall Cortright to serve as Deacon. He initiates numerous programs and fellowship events, including Oktoberfest, Christmas for Kids, and Easter for Kids. 2015: Deacon Cortright leaves St. John's to accept a position in St. Louis. 2017: St. John's begins a year long celebration of its 175th anniversary.